Radiohead plays for tens of thousands in Tel Aviv after rejecting calls to boycott Israel. Radiohead on Wednesday defied calls to boycott Israel and played for tens of thousands in Tel Aviv. The band made no reference to the Israeli-Palestinian conflict as the pioneering rock group made its way through a more than two-hour set at the Park Hayarkon outdoor venue with some 47,000 in attendance. 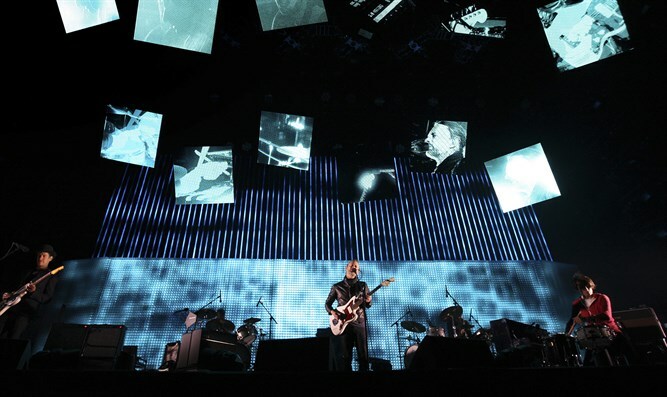 Thom Yorke, the band’s frontman, commented only once on the controversy, saying before launching into the band's final song, "Karma Police", "A lot of stuff has been said about this, but in the end we played some music." The crowd roared with appreciation, as it had throughout other points in the show. Some in the audience spoke of their gratitude that the band had decided to play Israel after all, as it has done in the past. "Everyone here in this crowd didn't vote for Binyamin Netanyahu. They're playing for the people, not the government," said Sarai Givaty, a 35-year-old musician who was among the crowd. Yorke, later fired back at the boycott calls, calling them “an extraordinary waste of energy”. "We don't endorse Netanyahu any more than (U.S. President Donald) Trump, but we still play in America," he pointed out. A number of politically active musicians have called off shows in Israel following pressure by pro-BDS activists, including Lauryn Hill and Elvis Costello, but a range of others have rejected the boycott call. On Saturday night, Guns N' Roses played to an estimated crowd of around 60,000 in Tel Aviv, while others including Britney Spears and Elton John have also performed recently. Popular rhythm and blues artist Alicia Keys and pop duo Pet Shop Boys have also performed in Israel in recent years, amid calls to cancel their show.